Wat Ong Teu Mahawihan (The Temple of the Heavy Buddha) was originally built in the 16th century by King Setthathirat. 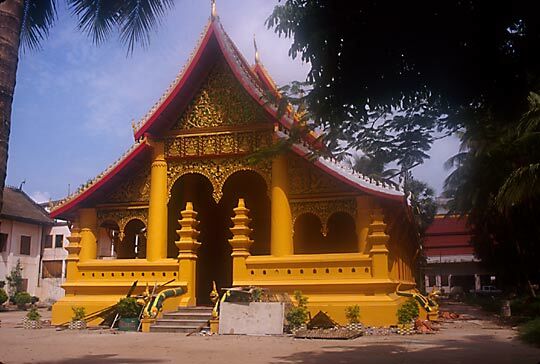 It was destroyed in the Siamese invasion of 1828 and was later rebuilt in the 19th century. The temple takes its name from the massive 16th century bronze Buddha image, the largest in Vientiane. The temple is also the residence of the Lao Supreme Patriarch.